Retro is back and trending. 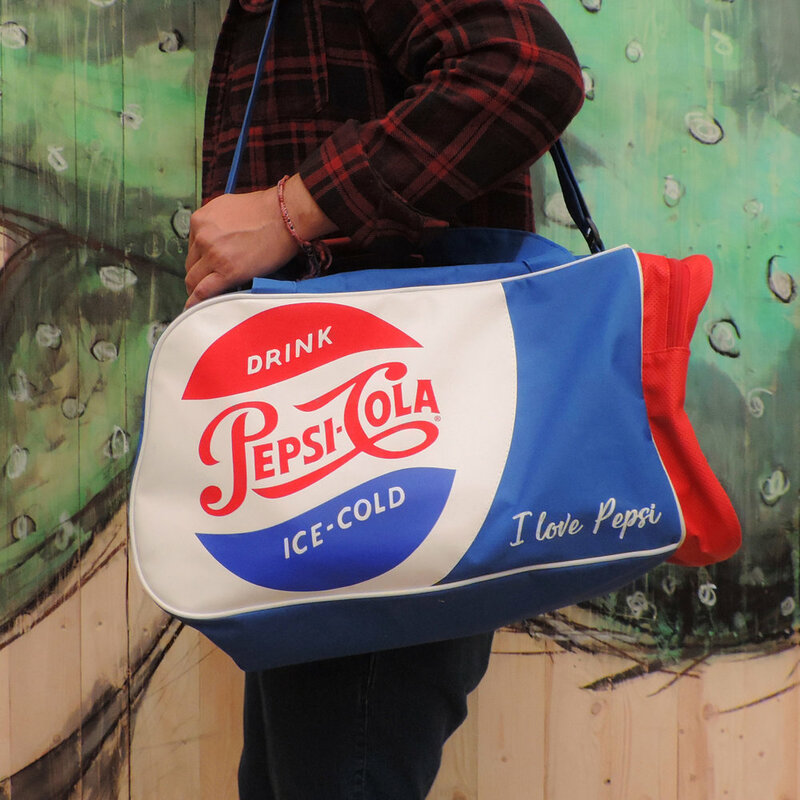 Who knows better than Pepsi? Their old-timey logo looks great on a custom-made travel bag.